I still go to tsla.com. I wonder when they acquired that? That missing E will cost you $10M. As much as you want to promote a new TLD, that’s exactly the opposite of what Tesla is trying to do here. 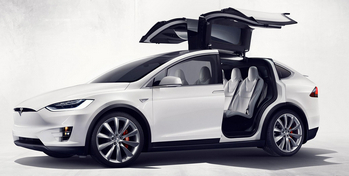 Teasla motors and Tesla .cars is same, as Andrew mentioned, that would be horrible acquisition for them. Unless they got .tesla as whole line, and even then tesla.com would still be key due to traffic.